You are a new business owner. You've ordered your business cards, set up your website, hired your first employee. You even have a few customers who are willing to pay you for what you do. You are ready to roll. You haven’t mentioned anything about your bookkeeping. CRA, record keeping, bank reconciliations, HST tracking, and keeping it all timely! Uhhh! 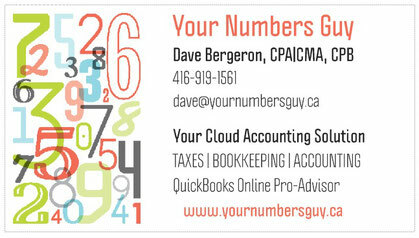 Your Numbers Guy offers affordable bookkeeping services and it won't cost as much as you may think! In a survey, TD Bank asked 508 small-business owners what they loved about owning their own business. Nearly all of the respondents -- 96 percent -- said they loved having flexibility and a feeling of control. They loved spending time with their customers and serving them. But bookkeeping? Not so much. Almost half of the owners surveyed said that bookkeeping was their least favorite task. And the more time the business owners spent running their businesses, the more they loathed the task -- 58 percent of business owners working 60 or more hours a week said that bookkeeping was particularly draining. Handling finances, banking and marketing were also unpopular items on the to-do list of many small-business owners. The survey didn't delve into the reasons why bookkeeping tasks gets no love, but I can fill in some of the blanks from past experience. Bookkeeping can be hard. Unless you have an accounting degree, you won’t automatically know the first thing about basic accounting practices. You have to learn it. Bookkeeping usually isn't fun. It's all about cold hard facts -- the truth. When you see your business expenses racking up and little income trickling in, it can hurt. With bookkeeping, it's easy to make mistakes, and mistakes can be costly. The survey didn't mention payroll, which tends to complicate matters for small-business owners. Payroll is an increasingly complex task, with unemployment tax rates changing all the time, state and local taxes to contend with, and tax-filing deadlines to remember. If you mess up your federal payroll taxes, you will be hearing from the government. It can be a real pain for small-business owners in particular, who are more likely to be handling these tasks on their own. 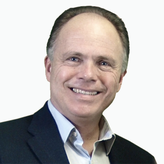 Like it or not, the state of your business books may very well determine whether your business lives or dies. Forget to pay a bill, and there goes your credit. Fail to keep track of receipts, and you miss out on all kinds of business-tax deductions. Lose track of your invoices coming in, and you’ll lose money. Have I scared you yet? Good. You need to find a bookkeeping method that you can depend on, whether you keep a meticulous handwritten ledger, use accounting software or decide to just hand off all the work to an outside accountant. Keeping track of your business finances is a vital part of owning a successful business. In fact, nearly half of the business owners in the study said that if they could give one piece of advice to new entrepreneurs, it would be to create a well-thought-out business and financial plan. Don’t ignore your business finances. Start right now. Find an accounting method that works for you, or spend more time on what you do best and hire someone, and start keeping track of your money -- before it gets away from you. Don't get caught doing something you loathe. Contact "Your Numbers Guy" today. With decades of experience in finance, supply chain, and process improvement I too have ventured into the world of small business and self-employment. My ultimate goals are to offer my experience and skills to entrepreneurs/small business where you have access to a professional CPA at affordable rates. 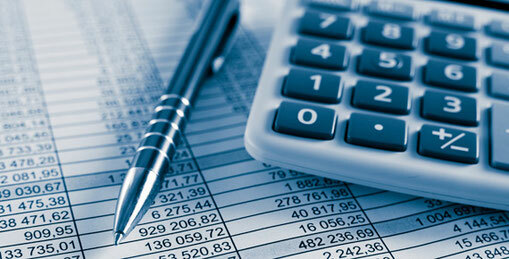 At the basic level bookkeeping & accounting is available but the services we offer are much more than that.